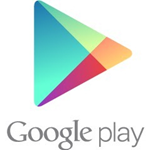 A lot of little things got the axe in Google's latest redesign of the Play Store website. Most don't seem to be coming back (oh how we miss you, 30-day download chart!) but one of the most useful ones for browsing has been resurrected. You can now narrow search for apps based on their free or paid status: just click the drop-down menu next to "Android Apps," which is set to "All prices" by default. You can search for free apps, paid apps, or both, but unfortunately there's no means of filtering them beyond that - no ascending or descending lists, for example. Search results on the web are still strangely limited to 48 apps. You can also search for books in Google Play by free or paid status, but the option doesn't appear for movies, magazines, or music. There's still no way to filter search results in the Google Play Store Android app, beyond the featured and best-seller lists. One more thing: I found out that if you leave the search field blank on the web Play Store and hit Enter, it will return a search for "unicorns". It does the same thing for all sections of the store - music, movies, everything. I don't know if this is new, but Agnes would approve.